Please join the Hoffman & Albers Interiors design team in celebration of 25 years! We could not have reached our silver anniversary without your support, your enthusiasm and your friendship. We look forward to sharing this special event with you and hope you will stop by to enjoy light bites, tasty cocktails and chances to win wonderful giveaways! During the courtesy days of October 4, 5 & 6, receive 10% off any purchase! This fun evening kicks off our Anniversary Sale! The sale runs through November 24th. We are partnering Operation Give Back, an amazing, local non-profit. This wonderful organization is committed to making a positive impact in our community by encouraging student leadership in activities that stimulate their minds and promote civic work in the community. Throughout our sale, we will be collecting items that can be used by the Operation Give Back program. Some of those items include: art supplies, bikes with helmets, board games, craft sets, dolls, legos, puzzles, and sports equipment. They also appreciate children's clothing, including blue jeans, long pants (khaki/black), sweaters, socks, underwear, coats (winter/rain), hats and gloves. 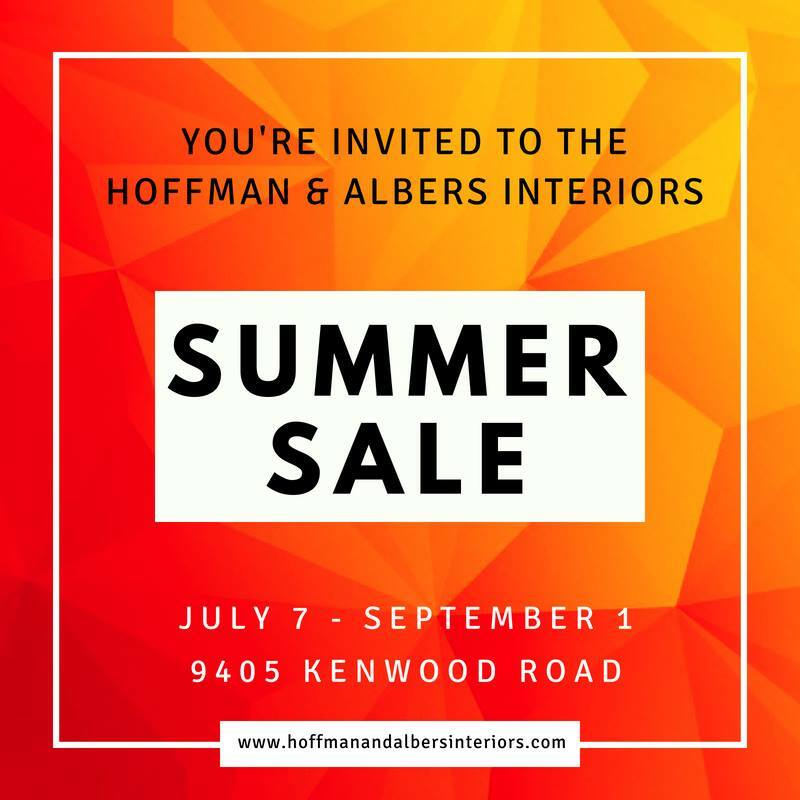 For every item (with an approximate value of $25) that you bring in, you will receive a $25 gift certificate towards Hoffman & Albers Interiors, with the opportunity to receive up to 4 gift certificates! Come on in from cold! 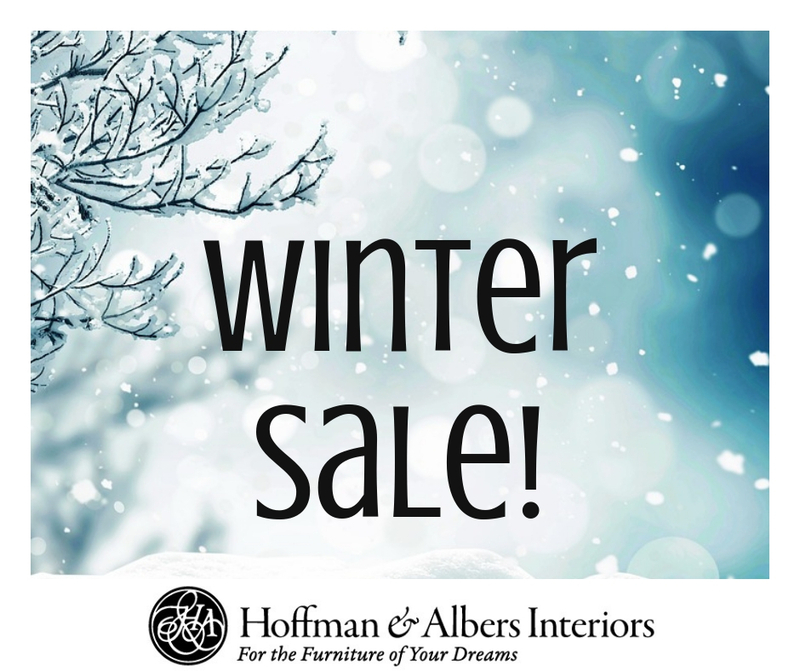 You are invited to our WINTER SALE! Take advantage of extra savings on in-store specials - special orders ARE included! You don't want to miss this seasonal sale - ends March 3rd! Our 24th Anniversary Sale is going on now and you are invited to stop by! Everything in stock, as well as special order items, are included in the sale - up to 50% off some pieces. Stock pieces available for immediate delivery. We also have many gift items under $100 - stop in and check someone off your list today. Register now to win $200 gift certificate to be drawn Saturday Nov 25th. Refreshments will be available Friday, November 24th and Saturday, November 25th.